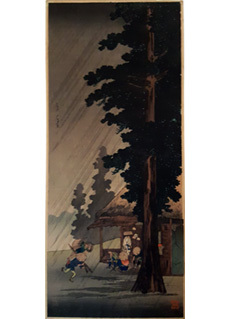 Sekiyado by Takahashi Hiroaki Shotei. The title can be seen at the upper right, Sekiyado, followed by the artist's double-gourd seal, Hiroaki, and it was published by Watanabe. 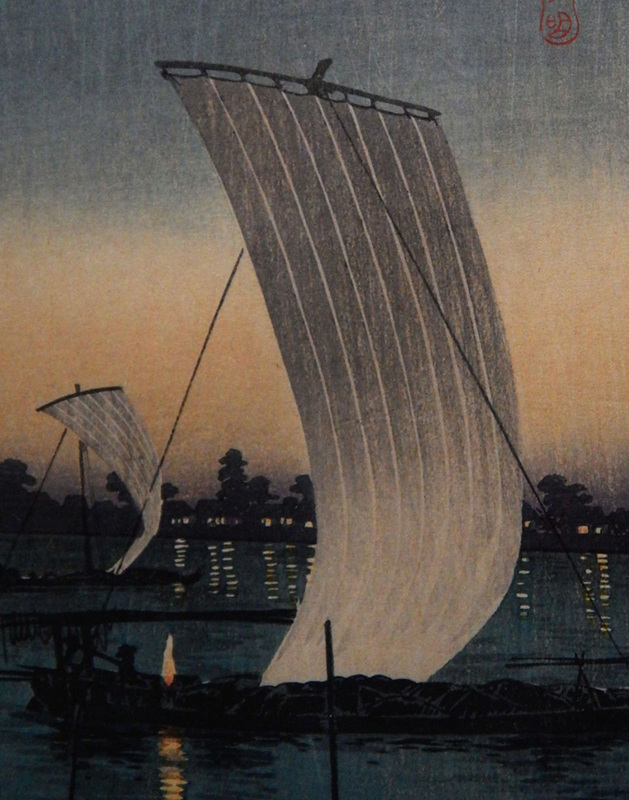 On the matte, "Sailboats on Sekiyado River" is pencil written on the lower left and "Hiroaki" is pencil signed on the lower right. 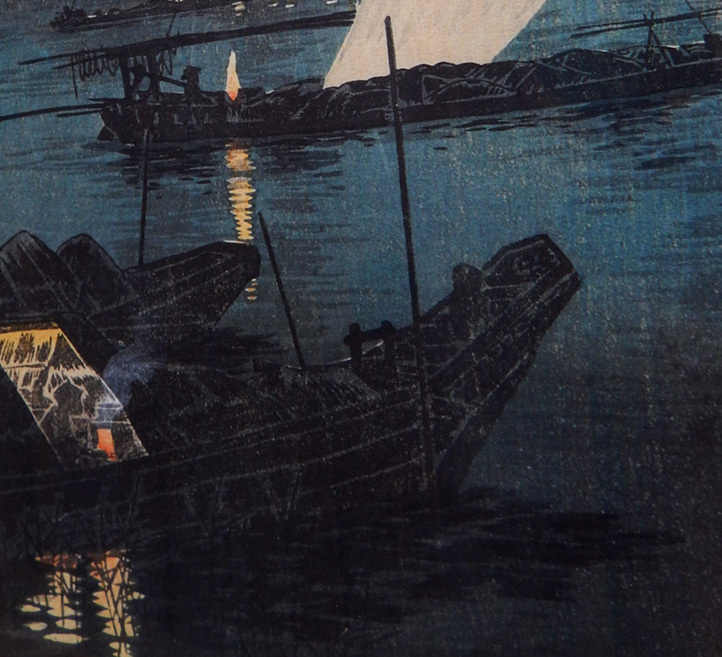 The woodblock print has a beautiful impression and great Bokashi shading. 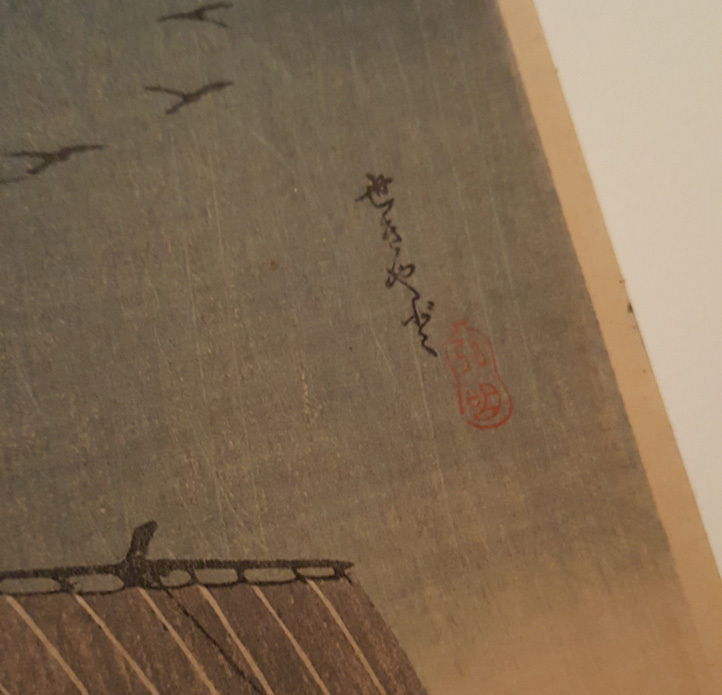 When examining the woodblock print under an ultraviolet light, I did not find evidence of previous restoration. 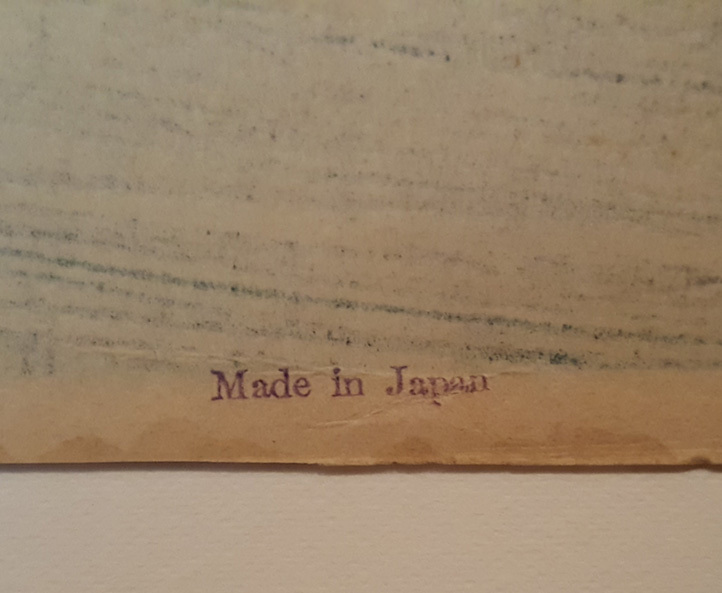 The impressed signature and title are original to the woodblock print and they do not fluoresce under an ultraviolet light. 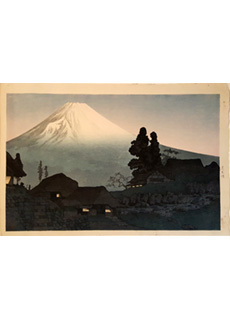 Hiroaki Takahashi AKA Takahashi Shotei is regarded as one of Japan's greatest woodblock print artists in history. His works can be found in numerous museums including Harvard Art Museums, Museum of Fine Arts Boston, Johnson Museum of Art. Condition: Very good. The top ¼" of the paper has some waviness. 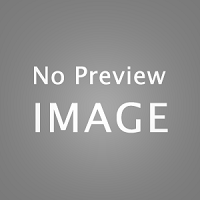 Otherwise, the image is in very good, overall condition. without the permission of Koller Art Ventures, LLC.